WEST PALM BEACH — City officials will have a new tool to crack down on abandoned, foreclosed homes, after the city commission voted unanimously Tuesday to create a database and registration process for foreclosures. With a growing number of foreclosures in the area, the city wanted a way to clean up unkempt properties and combat illegal activity at the abandoned homes. The new ordinance allows the city to hire a vendor to set up a database to identify vacant, abandoned and foreclosed properties. The bank that owns a property will be required to pay the city an undetermined annual registration fee and provide the name of the agent responsible for maintaining the property. The city will require the bank to use a property manager based within 20 miles of the home. The property manager will be required to maintain the property in a "secure manner" and comply with the city's maintenance criteria. The homes will also be inspected on a bi-weekly basis. The management company will also be required to post a sign on the property with contact information so residents or code enforcers can directly call the property manager. "Foreclosures are actually up this year, now that laws are more refined at the federal level," Development Services Director Doug Wise said. 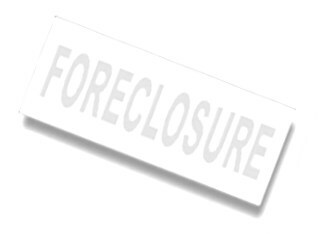 "We're going to see a slew of foreclosures going forward next year as they clear this whole backlog. It's going to get worse before it gets better. "Thousands of dollars are spent a day by code enforcement to clean up these properties." This ordinance will be closely tied to the city's Chronic Nuisance Abatement Code, which was passed last year and allows a special magistrate to order police and code services billed to a resident's tax bill. Mayor Jeri Muoio said the city attempted to track down property managers of foreclosed homes on its own, with little success. "We tried to do this ourselves and we had something like 600 properties registered when in fact there are 4,000," Muoio said. "We're missing a lot of data."